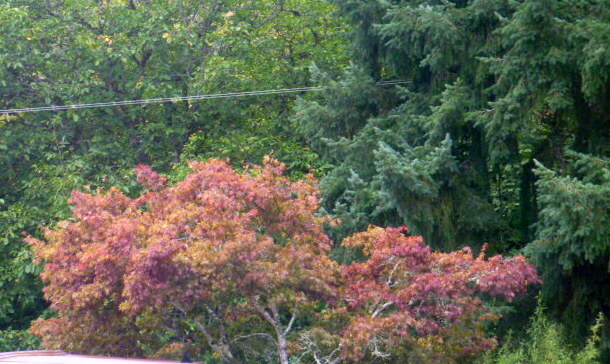 Fall in Oregon normally brings frequent, intermittent rains. Up to now there has only been one day of real rain here. As I traveled the last leg of the cross-country trek a few days ago, the weather was, had been and continued to be anything but rainy. Sunny, warm and dry. Perfect for traveling. 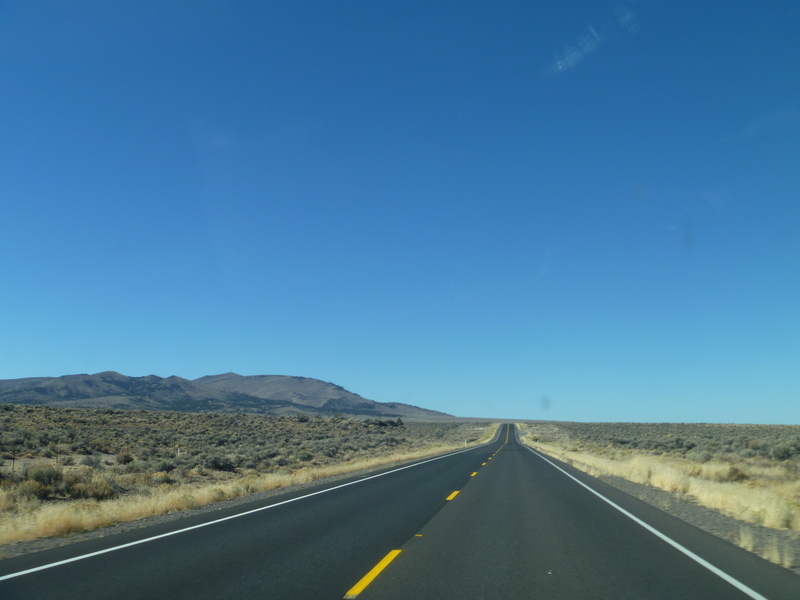 Travel started in the Eastern Oregon desert country on a clear, sunny day. There is some irrigation in the desert area. 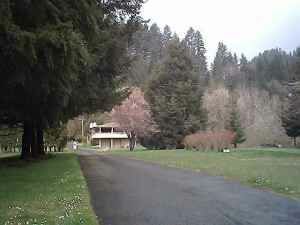 On the hillsides the pine trees pop out. 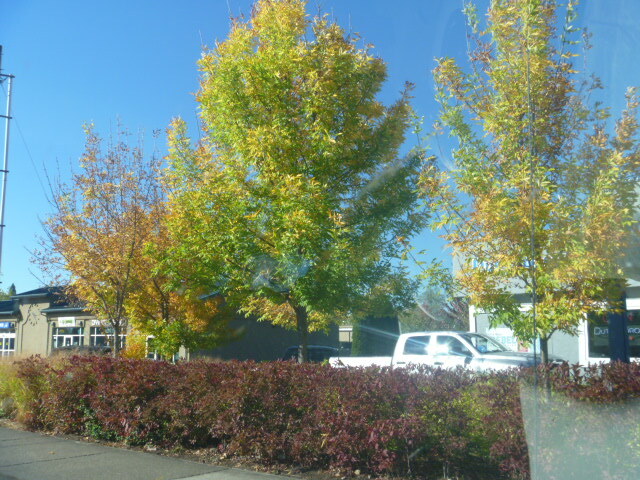 Fall colors are also evident. 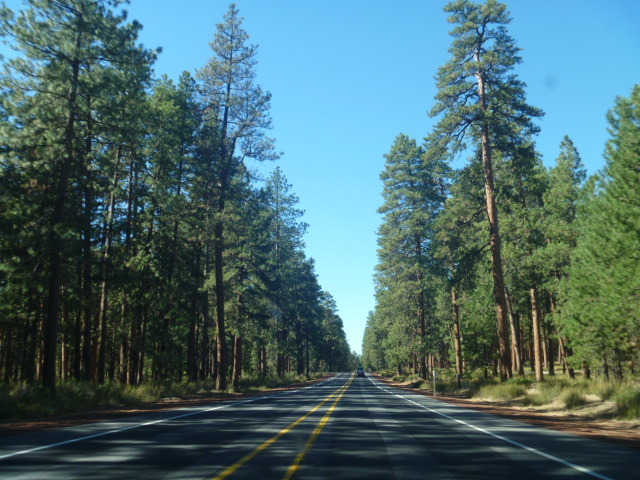 Mostly it’s desert, pine and mountains though. Further along are both irrigated crops and cattle. 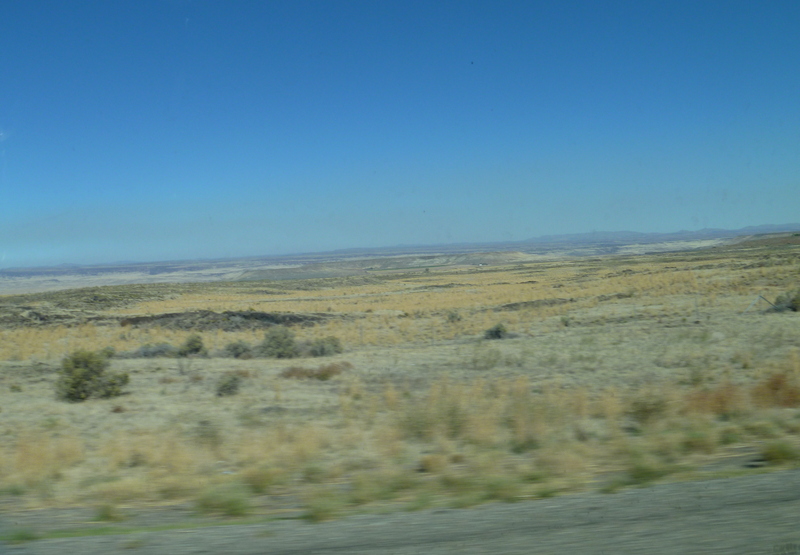 But the desert two lane is long between Burns and Bend. 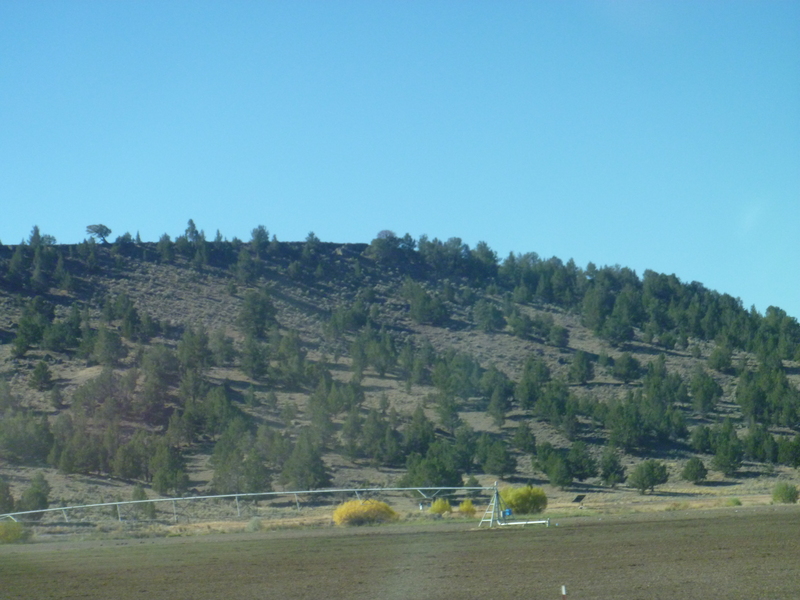 Nearing Bend the scenery becomes more spectacular and less arid. Reaching Bend we are treated to some luscious fall colors against the bright blue skies. 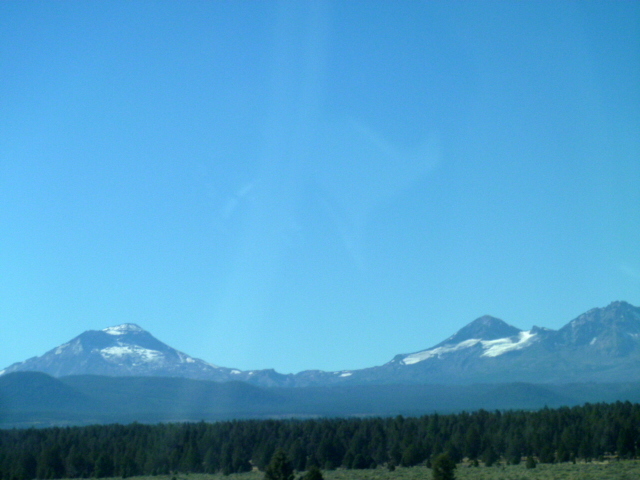 Leaving Bend and traveling north-east heading toward Sisters, Oregon, we come upon the actual sisters. Passing Sisters we now enter the forest. Look at that beautiful sky! 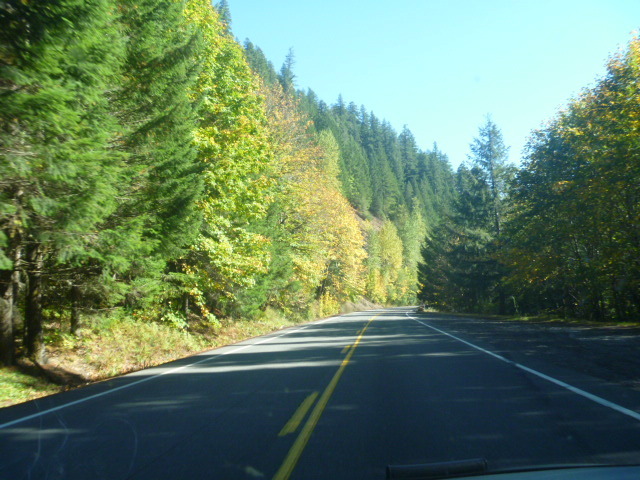 Eventually we turn off again and enter the McKenzie River Valley where the fall colors are just starting to turn. 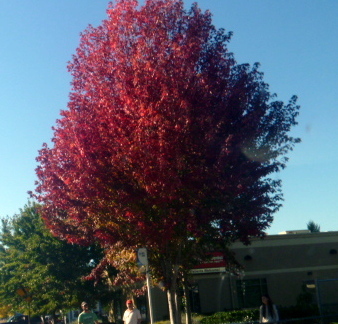 They were not at the height of their color but still very much indicative of its being fall. 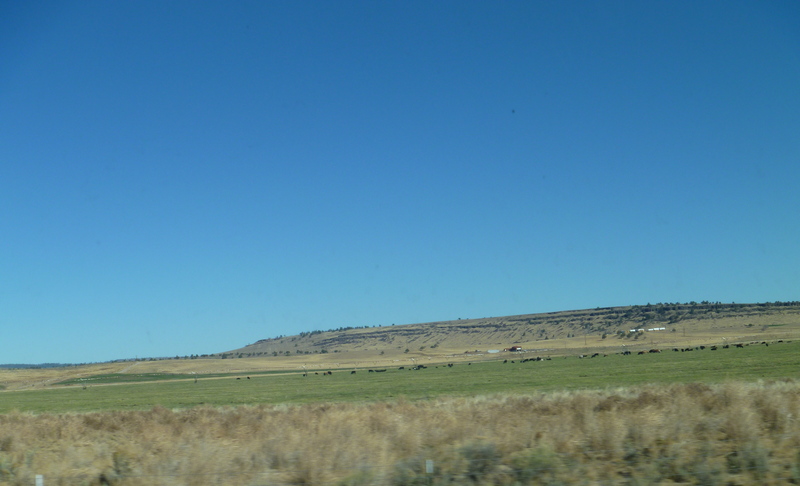 I could not have asked for a better day to travel through Oregon. Because there had been a day of serious rain, trees and foliage were perked up and greening again. The river valleys can be magnificent during this time of year but weren’t quite in their prime. 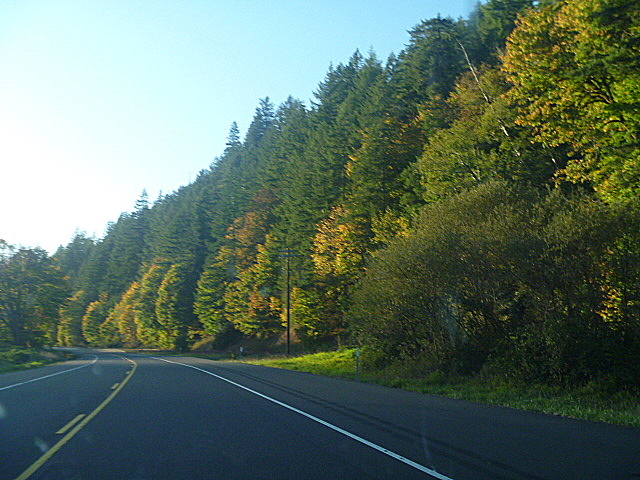 However, after passing through Eugene and up over the mountain toward home the Siuslaw River Valley, too, displayed flowing walls of fall coloring amid the Douglas Fir. Reaching home, sweet home we are mostly surrounded by Doug Fir but have one very pretty maple in the park that bursts with fall colors. 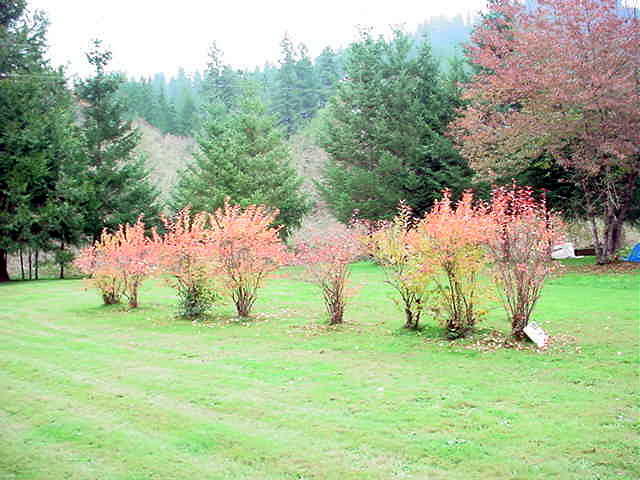 And soon the blueberry bushes will start to turn all sparkly orangey-pink. But….come stay with us at http://www.umpquariverhaven.com and see for yourself all the bright, fun fall colors we have to offer. Will be good to see you!! Glad you enjoyed it, Marg. 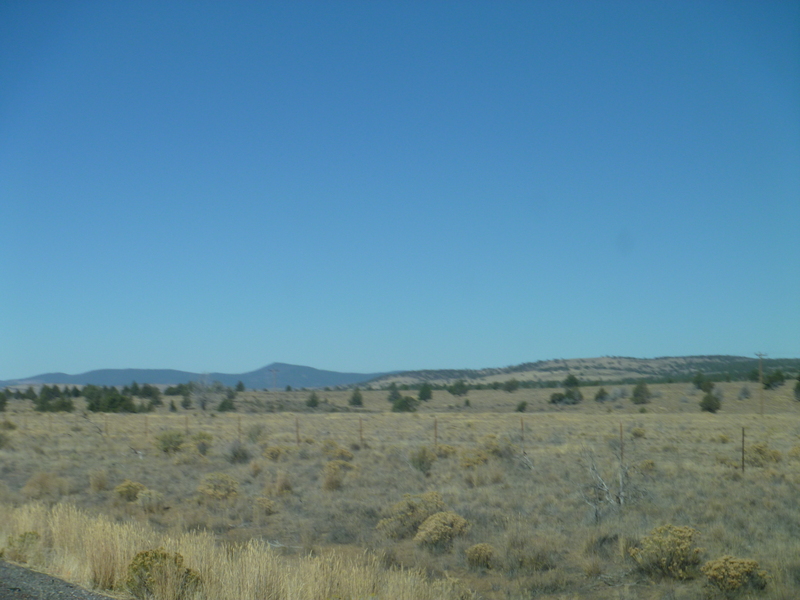 I do love driving across country!